Mississippi experiences a humid subtropical climate with long, warm summers and mild winters. Mississippi falls within United States Department of Agriculture (USDA) Hardiness Zones 7 and 8. If you live in Mississippi, choose shrubs according to correct Hardiness Zone, mature plant size, intended use, bloom time and bloom color. Many shrub varieties perform well in Mississippi landscapes. Carolina allspice (Calycanthus floridus), also called the sweetshrub, belongs to the Calycanthaceae plant family. Mature shrubs reach up to 8 feet in height and 4 feet in width. The Carolina allspice shrubs bear green leaves that turn vibrant yellow shades in the autumn. Fragrant, yellow to red-brown flowers bloom in May and June, followed by brown fruits. This plant prefers loamy soils in partly shady to fully sunny locations. Mississippi gardeners often mass plant the Carolina allspice in naturalized areas and shrub borders. The summersweet (Clethra alnifolia), sometimes called the sweet pepperbush, naturally occurs around Mississippi bogs and moist savannas. This shrub ranges from 4 to 6 feet in height and 3 to 5 feet in width. The deep-green leaves turn golden-yellow in the autumn. Fragrant flower spikes bloom white-to-pink blossoms in July and August. This Clethraceae plant family member prefers acidic soils in semi-shady to fully sunny locations. The summersweet works well in naturalized areas, woodland gardens, shrub borders and cottage gardens. The leucothoe bush (Leucothoe axillaries), an evergreen in the Ericaceae plant family, naturally thrives in the wet soils of Mississippi bogs and swamps. Fragrant, white-flower clusters bloom in late spring, while the green leaves turn purple-brown shades in the winter. Mature leucothoes range from 2 to 4 feet in height and 3 to 5 feet in width. The leucothoe shrub prefers acidic soils in partly shady positions. This shrub looks attractive in borders, foundation plantings and rock gardens. The dwarf palmetto (Sabal minor), a fan palm belonging to the Arecaceae plant family, reaches 4 to 6 feet in both height and spread. Yellow flowers appear in June and July, followed by black fruits that mature in late summer. The dwarf palmetto prefers moist, rich soils in partly shady locations. 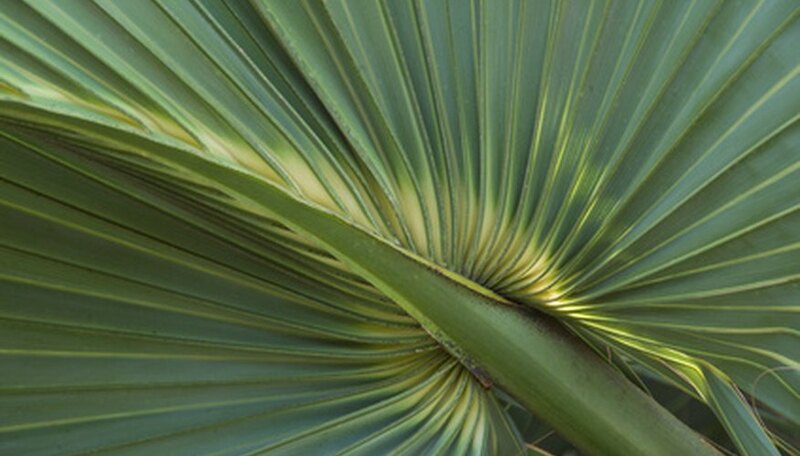 Mississippi gardeners often use dwarf palmetto shrubs as focal plants and specimen shrubs. Oakleaf hydrangeas (Hydrangea quercifolia), ornamental shrubs in the Hydrangeaceae family, thrive in the fertile, well-drained soils of Mississippi’s woodlands. This upright shrub reaches 6 feet in height with spreads reaching up to 4 feet. The dark green leaves turn deep purple in the autumn. Large flower panicles appear in June and July. The flowers emerge white, mature to pink and then fade to brown. Mississippi gardeners often plant oakleaf hydrangeas under shade trees, around foundations or in woodland areas. Virginia sweetspire (Itea virginica) naturally occurs along Mississippi swamps and streams. This Grossulariaceae plant family member reaches up to 5 feet in height and 3 feet in width. Deep green foliage turns dark red in the fall. Fragrant, white flower clusters appear in early summer. This shrub prefers moist, humusy soils in partly shady to fully sunny locations. The Virginia sweetspire works well in woodland gardens, shrub borders and naturalized areas.